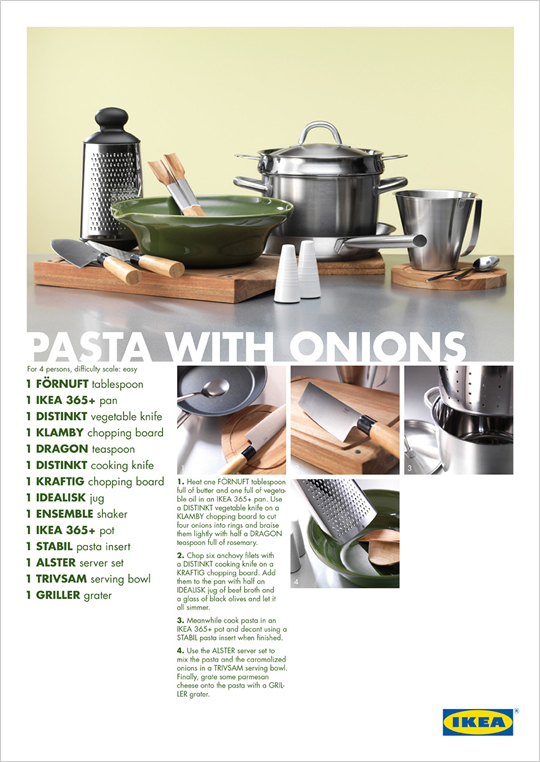 From a German ad agency, these ads for IKEA cleverly shift a recipe's focus from ingredients to tools. 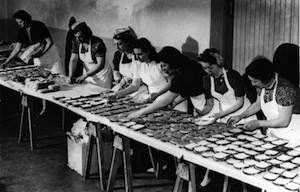 Who cares what kind of pasta you use? Or, for that matter, how much? 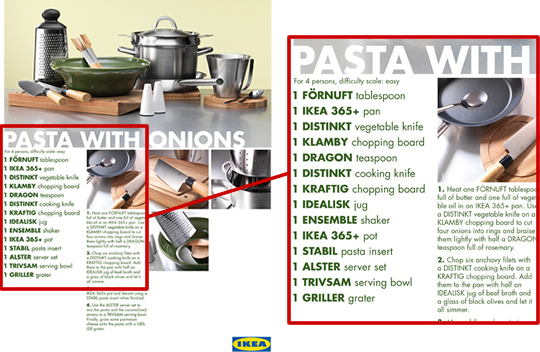 Just make sure you're cooking it in an IKEA 365+ pot and straining it with a STABIL pasta insert. IKEA: Recipes, Pasta with Onions. view larger. via adsoftheworld.com. 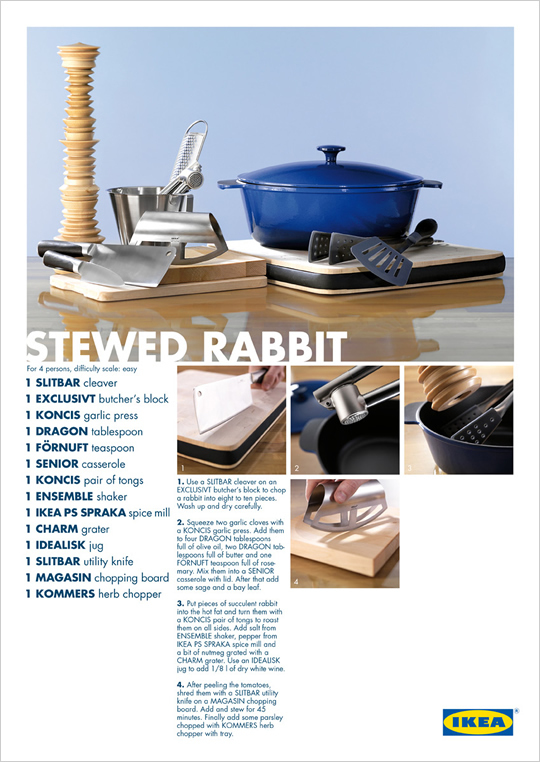 IKEA: Recipes, Stewed Rabbit. view larger. via adsoftheworld.com. 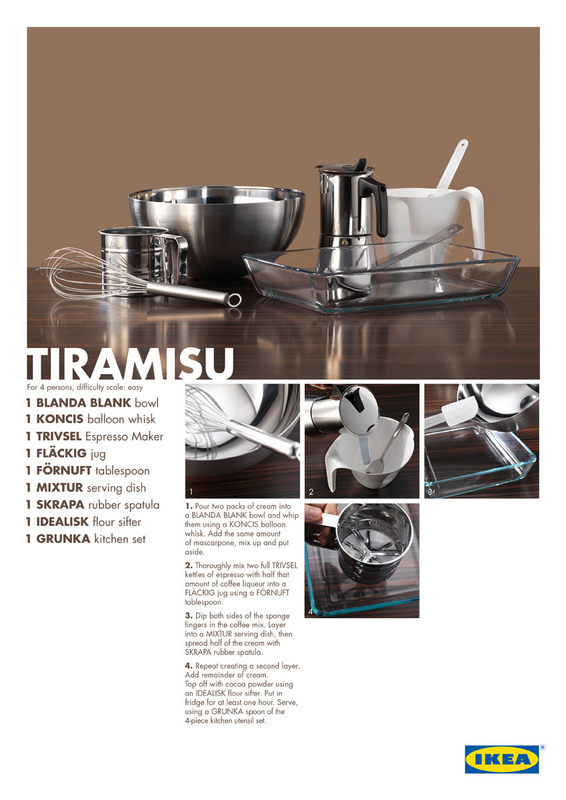 IKEA: Recipes, Tiramusi. view larger. via adsoftheworld.com.